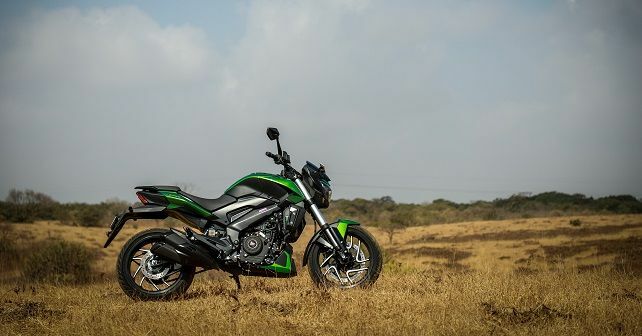 The 2019 Bajaj Dominar gets a raft of updates including a more powerful engine, USD front fork, new instrumentation, new colours and more. The 2019 Bajaj Dominar 400 has finally got a price-tag. Although not official at the moment, various Bajaj dealerships have received the updated model and customer deliveries will reportedly commence on April 15. Concerning the price, a dealer in Delhi has told us that it’ll be priced at around Rs 1.74 lakh (ex-showroom), and that should translate into an on-road price of around Rs 2 lakh. This also means the bike has become dearer by around Rs 11,000. Having said that, there’s a lot of goodies on offer with the new model, which more or less justifies the hike. So, what all has changed? First up is the powertrain. Although it’s the same 373cc liquid-cooled single-cylinder engine, it now features dual-overhead camshafts (DOHC) instead of a single overhead camshaft (SOHC). In addition to this, the ECU has been recalibrated, and the engine develops around 5bhp more, which means peak power output now stands at 39bhp. Torque is unchanged at 35Nm, but it’s now delivered at 7,000rpm instead of 7,500rpm in the old model. The transmission is a 6-speeder with a slipper clutch. Additionally, the updated Dominar 400 gets a beefier upside-down front fork, slightly tweaked rear mono-shock with a softer setup than before, radially-mounted front brake calliper, dual-tone diamond cut alloy wheels, a new instrument cluster, a new side stand, a double-barrel exhaust and more. Braking duties are carried out by a 320mm front and 230mm rear disc. ABS is standard. Because of all the new bits, the new model is around 2 kilograms heavier, meaning the bike has a kerb weight of 184kg. The 2019 Bajaj Dominar 400 comes across as a great value for money product considering the kit that's on offer and the fact that it undercuts the likes of its own cousin – the KTM 390 Duke – and the TVS Apache RR 310 by a substantial margin.